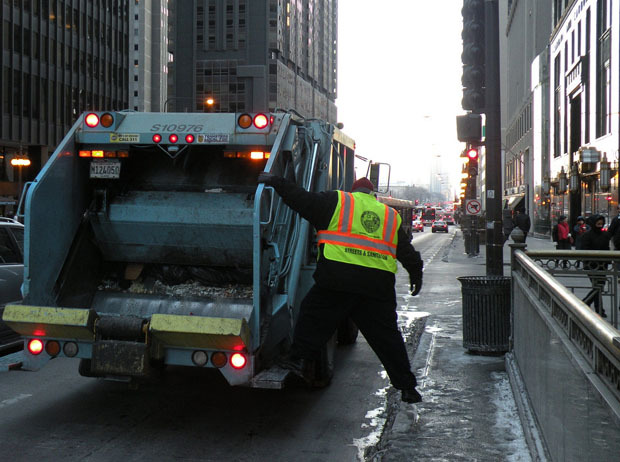 More employees at Chicago’s Streets and Sanitation are showing up to work, so says Mayor Rahm Emanuel’s office. Emanuel and Streets and Sanitation Commissioner Thomas Byrne announced on Wednesday that the city’s sanitation department saw a 15-percent decrease in absenteeism. Both said the decline was thanks in part to new measures taken by the department. “The reductions in absenteeism allow us to reduce costs and ensure that the City’s workers can compete and provide the best possible service for the residents,” the mayor said in a statement. According to the city, absenteeism is down 16.3 percent year over year for motor truck drivers, and 13.15 percent year over year for laborers the first four months of 2012. The city also said there was a 40-percent reduction in disciplinary cases related to absenteeism—from 253 to 152. “We have been working hard with our supervisors and union leadership to educate our staff about work rules and ensure these rules have been fairly and consistently enforced,” said Byrne.